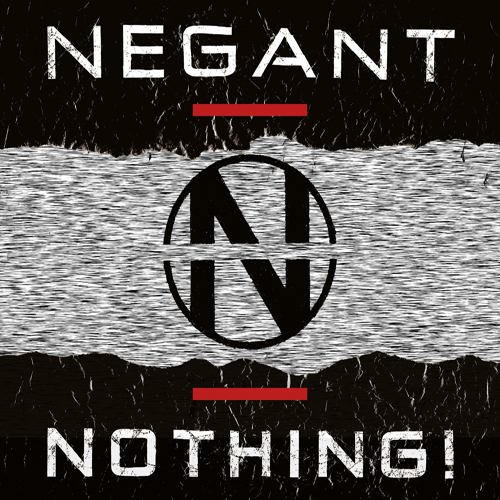 Negant – the project of the Denmark industrial scene’s “grand old men” Jens B. Petersen (Neotek, ManMindMachine, Danish Electro), Tommy B-Kuhlmann (In Absentia, Danish Electro) and John R. Mirland (Am Tierpark, Mirland/Larsen, Holm/Mirland, Mirland) – will release its first full-length album, NOTHING!, on October 27. Mastered by Leæther Strip’s Claus Larsen, Nothing will be released on Mirland and Larsen’s LÆBEL imprint. The follow up to the NO! EP presents a brutal lesson in how seamlessly the modern political climate of hate, bigotry, and impending doom slots into the electronic trinity of beats, bass, and distortion to transmute rage into a sonic call to action with a classic industrial vibe that hammers home a sense of history repeating itself. NOTHING! will be released digitally and as a limited CD edition of 300, which also includes a digital download. Both versions are available for pre-order now through Bandcamp, and come with one track to download now to tide fans over until the full release. In addition, Negant will play a pair of shows in in advance of the album on October 12 in Berlin, Germany and October 27 in Copenhagen, Denmark.